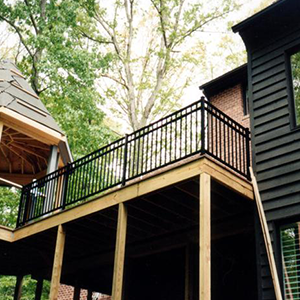 Richmond & Central VA use BNW Builders for their porch and deck railing installations. We guarantee a consistently great product and experience for our customers. 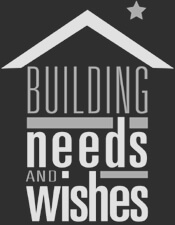 We utilize a variety of high-quality products and bring with us years of experience and professional knowledge. 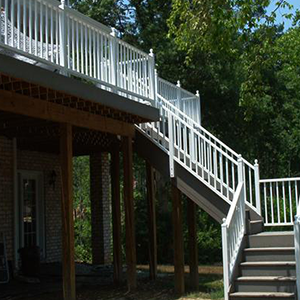 Come see why wee are Virginia's preferred deck & porch railing experts, and contact us today for an estimate. 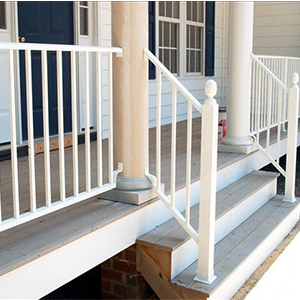 What materials do we use when making your railings? 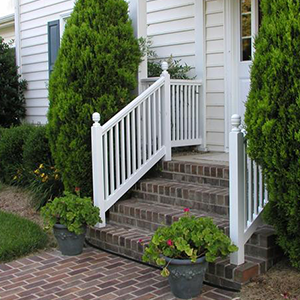 We primarily use aluminum because of it's combination of beauty and strength. What type of finish do we put on our products? We use a baked on powder coated finish. This is far superior to traditional painting and much cleaner looking than vinyl. What does Small Woodlike, Large Woodlike and Ironlike mean? 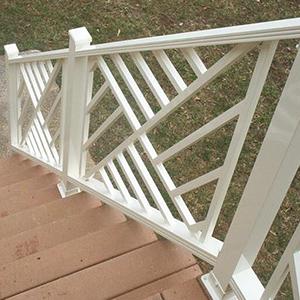 Small and Large woodlike are both styles of aluminum railings designed to look just like their real wood counterparts. Small Woodlike has a 2" wide top bar where Large Woodlike has a 3" wide top bar. 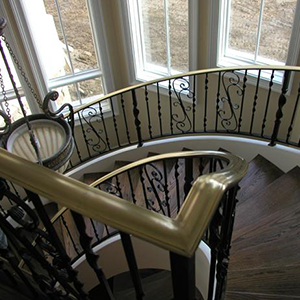 Ironlike is more of a traditional wrought iron design, that is made with aluminum also. How do our rails install? 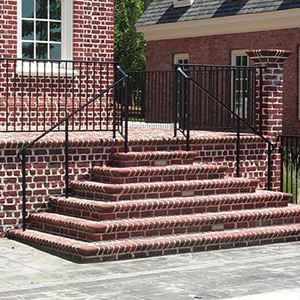 Most railings will have holes drilled into your brick or concrete, then we set the posts in the holes with a quick drying form of concrete. Also we will bolt the railings to columns and walls as necessary. For railings installed onto wood decking and stairs we have a shoe mount that attaches to the bottom of the post, and gets bolted down. 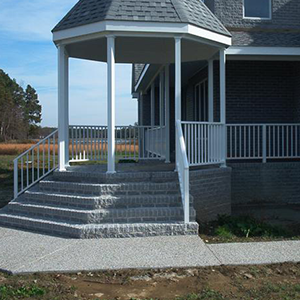 Our professional install crews will handle this for you.